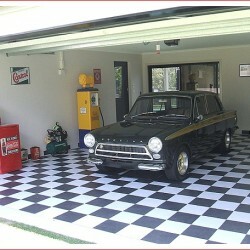 The Unique Cars website has a 1965 Ford Cortina GT listed for sale, which would be of interest to motorsport enthusiasts. Genuine 1965 GT Cortina in immaculate condition not a matching numbers car due to running a twin cam lotus motor with mechanical upgrades. Very fast road or club car. Not many left in this condition, could be made concours with little outlay. The 1965 Ford Cortina GT was available in either 2 or 4 door layout; was rear wheel drive; and a 4 speed manual gearbox. Engine displacement was 1498 cc or 91.4 ci. Advertised power output was 58 kW or 78 hp and an advertised top speed of 145 kmh or 90 mph. 0 to 100 kph was claimed to be 14.1 seconds. It wasn’t a very big car being 4275 mm or 168.3 in long, with a wheel base of 2489 mm or 98 inches. The Ford Cortina GT also formed the basis of the Ford Cortina GT500 which took first and second places outright in the 1965 Armstrong 500. Only 100 were built as this was enough to satisfy homologation rules. Using a Ford Cortina GT as a donor unit, the renowned Harry Firth added a new cam, reshaped the combustion chamber and made other alterations to increase top speed to 103.6 mph with increased power output of 98 bhp @ 6000 rpm. Click Here to visit the Unique Cars website for more details on this 1965 Ford Cortina GT currently listed for sale.